Greetings From Adventure Bound World Headquarters! Adventure Bound was started in 1963. The sole proprietorship was started by Keith Counts, an educator originally from the Wichita Kansas area teaching in Adam’s County, Colorado. Trips were offered to school groups and Boy Scouts in the Denver Area. 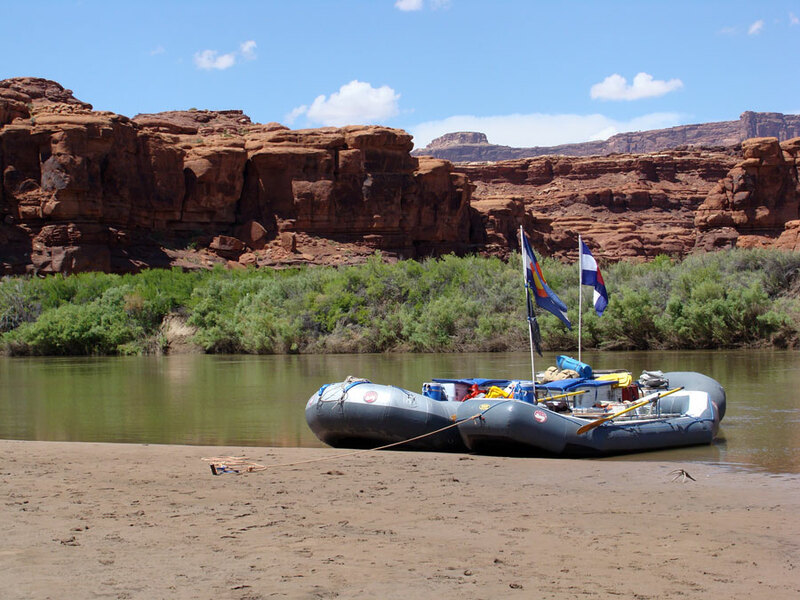 At its conception, Adventure Bound had just a couple of military surplus rafts and authorization to run in Dinosaur National Monument on the Yampa and Green Rivers. Since then, our business has grown to keep up with the increasing popularity of outdoor recreation. Today we have a wide variety of rafts and dozens of inflatable kayaks in our fleet. We offer trips in five different locations throughout the Colorado Plateau. Our trips include Yampa Canyon and Lodore Canyon in Dinosaur National Monument, Desolation Canyon on the Green River, as well as, Cataract Canyon and Ruby Canyon, both on the Colorado River. Adventure Bound started with administrative offices in Littleton, Colorado, and the first operations office in Craig, Colorado. Later, an operations center was added in Mack, Colorado to support the southern rivers in Adventure Bound’s operation. In 1980, the administrative offices were moved from Littleton to Grand Junction, Colorado. The current owner, Tom Kleinschnitz, purchased the company in 1985 and moved Adventure Bound in its entirety to Grand Junction, Colorado where you can still find our “one and only” world headquarters today! We understand that our 50 year mark wouldn’t be possible without our highly skilled and dedicated staff, as well as, our amazing clients. Thank you for being a part of our history! See you on the river for an adventure you will never forget!